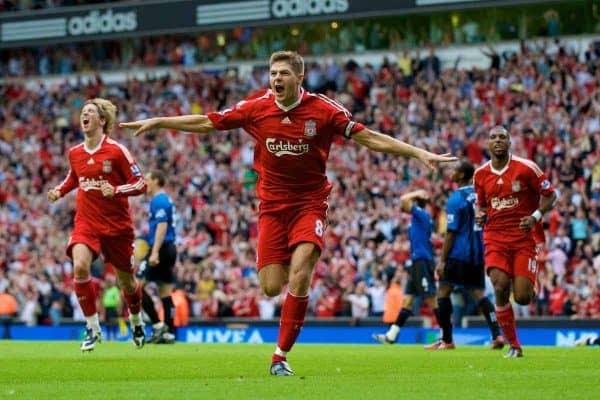 QUIZ: Can you name Liverpool's top 20 goalscorers in the Premier League at Anfield? With Liverpool passing the milestone of 1,000 goals scored at Anfield in the Premier League era, how many of the top 20 goalscorers can you remember? Roberto Firmino‘s strike in the Reds’ 4-3 victory over Crystal Palace in January capped the landmark, with the striker also recently becoming the top-scoring Brazilian in the history of the current top flight. Jurgen Klopp‘s triumvirate of Firmino, Sadio Mane and Mohamed Salah have helped inspire some of the best-attacking football seen on Merseyside in the league, following a host of impressive names from the past. But of Liverpool’s 1,002 Anfield goals clocked in the Premier League, who leads the way? And who makes up the top 20? Try our latest quiz to test your knowledge of the Reds’ scorers at home since 1992/93. You have six minutes – can you guess all 20?